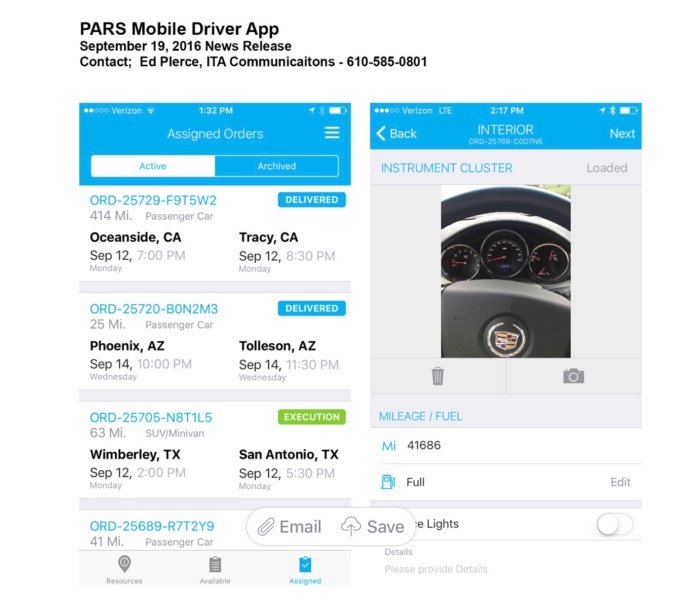 Gainesville VA, September 19, 2016 – PARS, the leader in fleet vehicle transport and logistics, has added a mobile app for its drivers giving PARS customers access to real-time order information and detailed vehicle condition reports through the PARS customer portal. According to Erik Rasmussen, PARS Director of Strategic Operations, today’s fleet managers face much shorter decision time frames and more complicated moves involving large numbers of vehicles, coordination between multiple fleet service providers; varied vehicle services, and numerous logistical concerns. The new mobile app, optimized for both iOS and Android smartphones, keeps our drivers in constant contact with our field offices. Highlights from 2016 AFLA Conference! 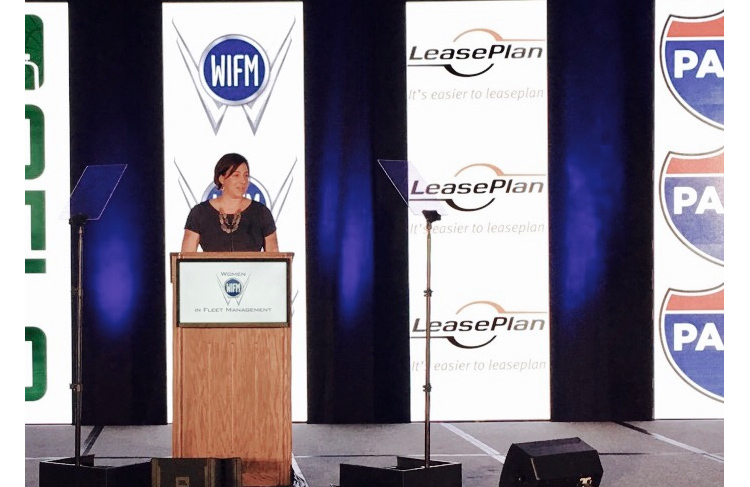 This year’s AFLA conference got off to an impressive start when PARS president Lori Rasmussen introduced the WIFM keynote speaker, Susan Lund. Susan spoke on the topic, Ignite Your Selling Potential, based on her best-selling book, Ignite Your Selling Potential: 7 Simple Accelerators to Drive Revenue and Results Fast. PARS sponsored the presentation along with LeasePlan. PARS president Lori Rasmussen at 2016 WIFM meeting. 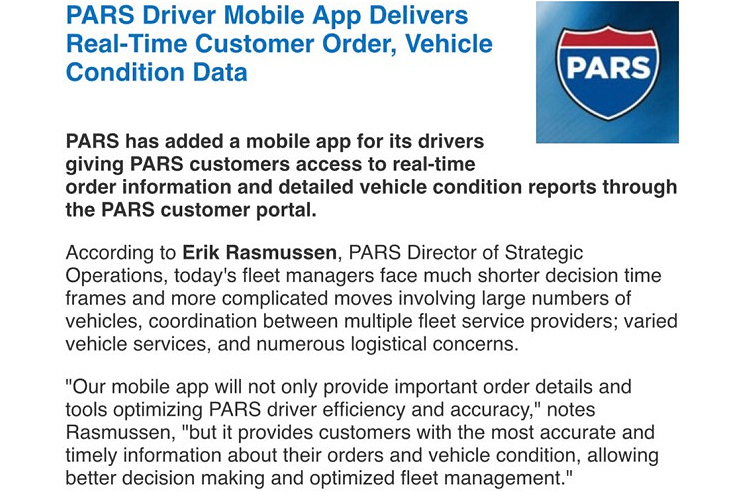 PARS’ new driver mobile app made headlines in the AFLA-distributed edition of Fleet Management Weekly. You can read all about the benefits for PARS customers in the next post. PARS’ new driver mobile app made headlines in the AFLA edition of Fleet Management Weekly! PARS press contact also included Fleet Management Weekly’s Janice Sutton interview of Erik Rasmussen, director of strategic operations, who reviewed technology trends in the fleet industry as well as PARS’ new mobile driver app. 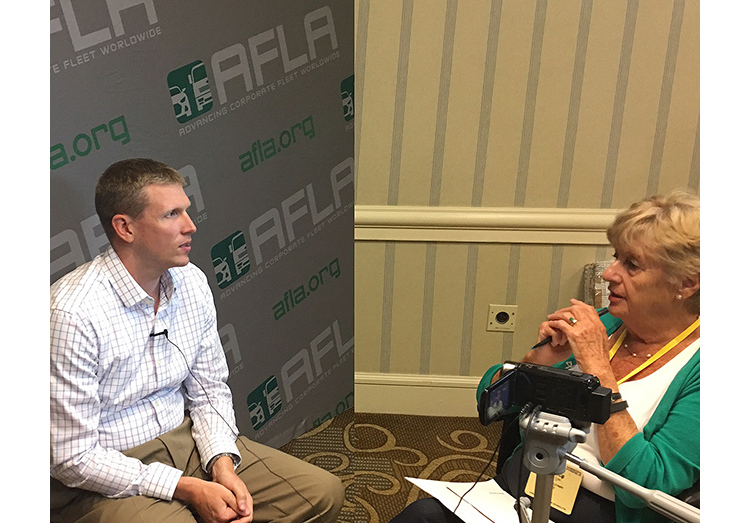 Erik Rasmussen is interviewed by Fleet Management Weekly’s Janice Sutton at AFLA.